A micelle is a special type of compound that has a polar head and non-polar tails. 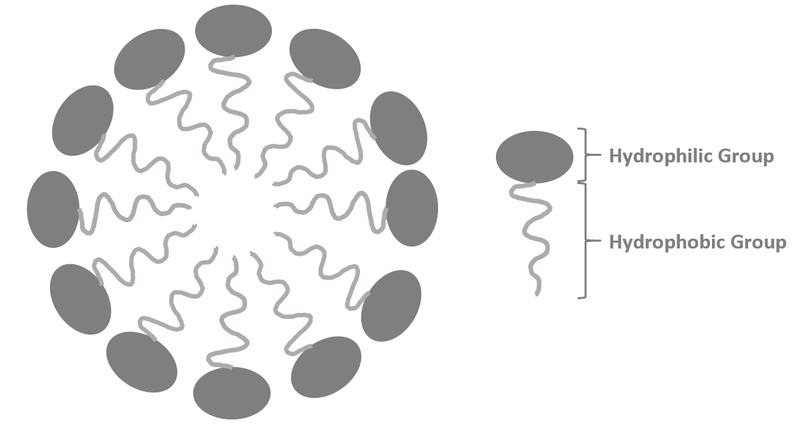 A common form of a micelle is a group of molecules arranged in a sphere such that the center of the sphere is the oil molecule which is attached to the polar groups on the surface via non-polar tails. Therefore, the molecules forming a micelle hide their hydrophobic tails in the middle which is shielded by the hydrophilic head regions. Micelles can be made up of fatty acids, soap molecules, and phospholipids.